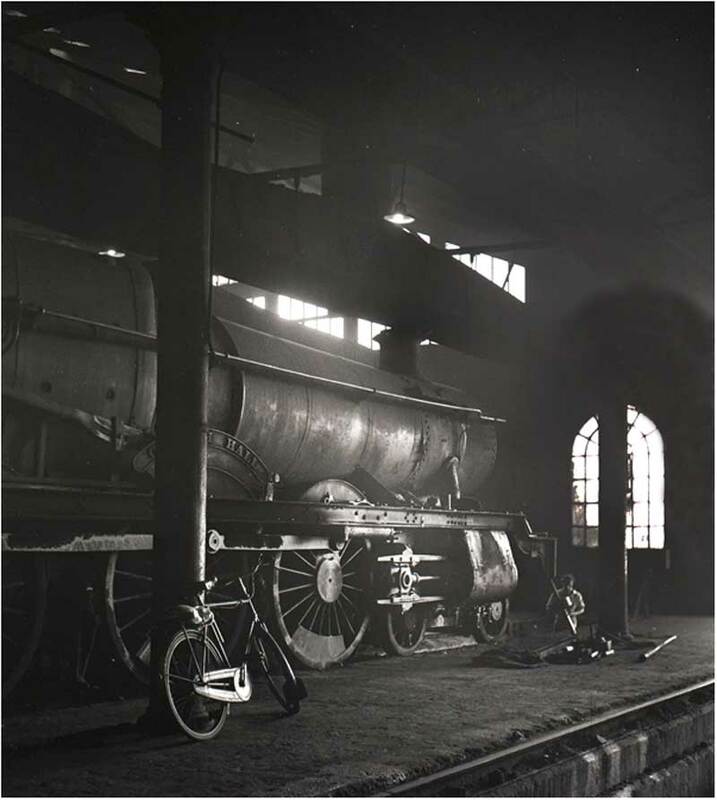 This is the locomotive maintenance shed serving Reading's Great Western Railway depot. It ws taken in September 1959 when I was in my first term in the photography department of the Berkshire College of Art. It was almost the end of the steam era, and although the subsequent loss of steam locomotives like this one is to be regretted, the working conditions for men employed by the railway companies was extremely primitive, as can be seen in this photograph. Taken on a college Microcord camera with the excellent Ross Xpress lens.